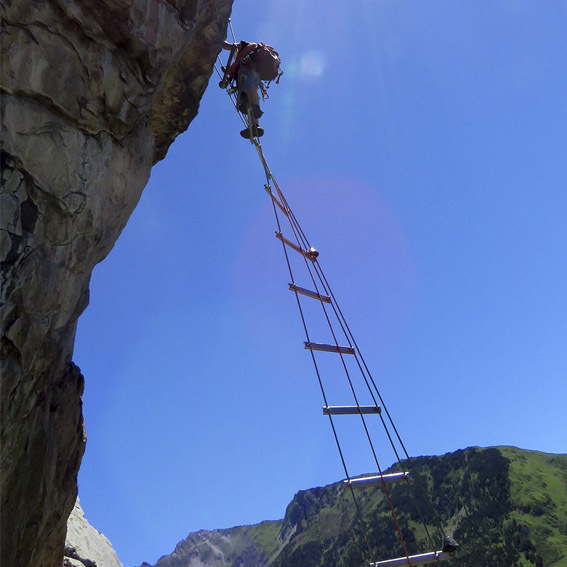 An activity with height! 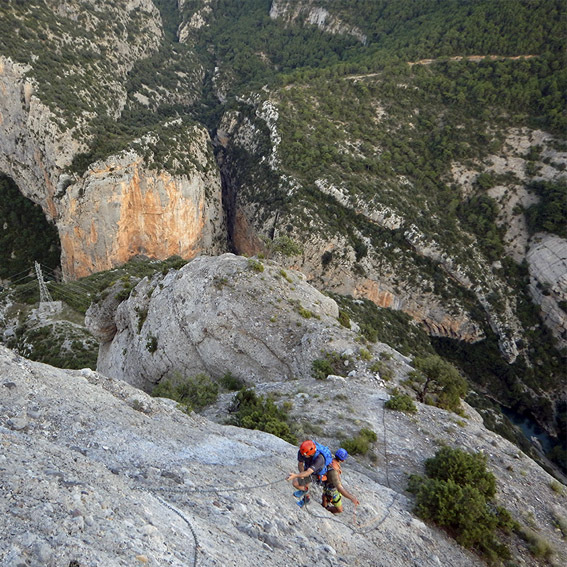 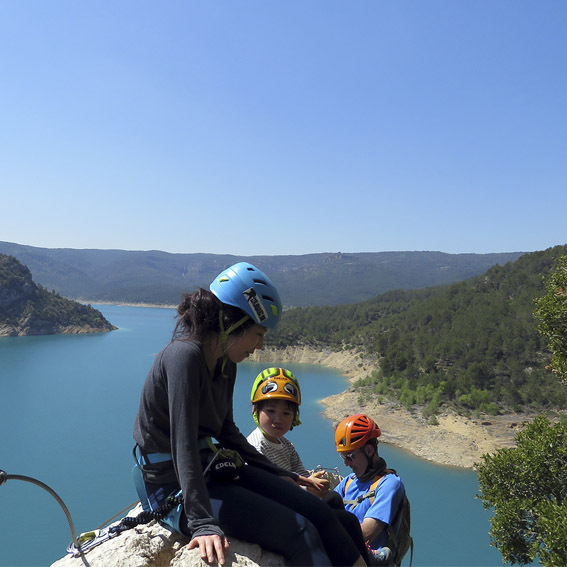 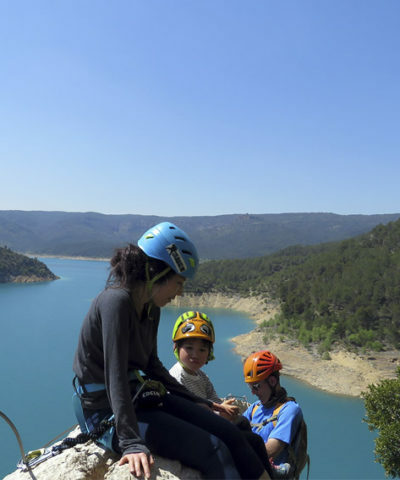 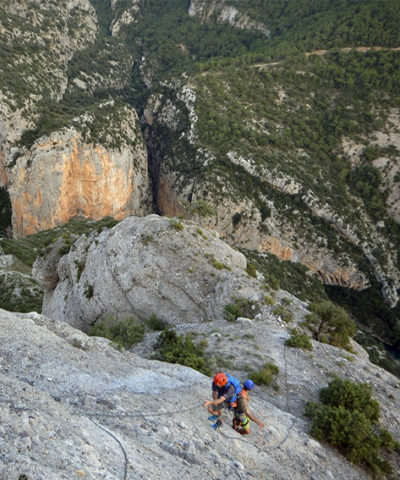 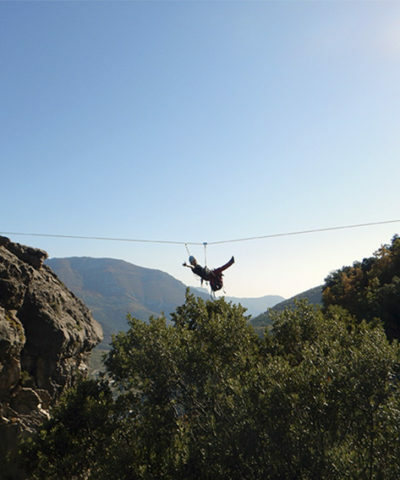 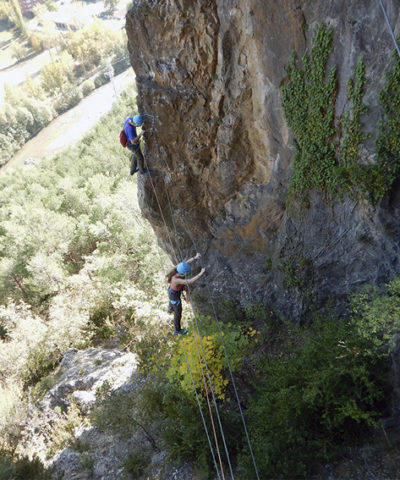 Enjoy the most amazing views following an aerial route along symbolic Catalonian walls. 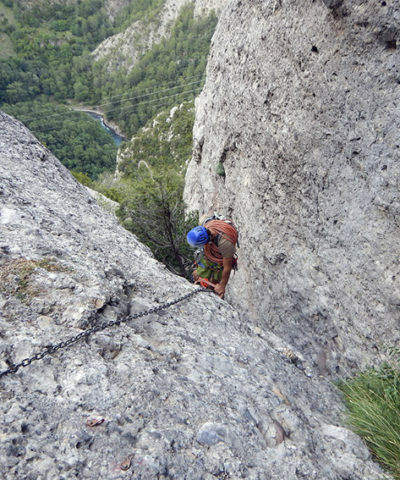 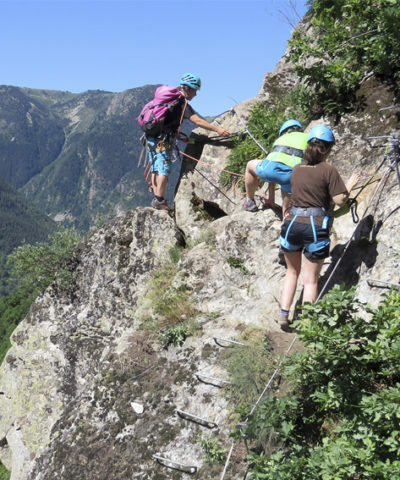 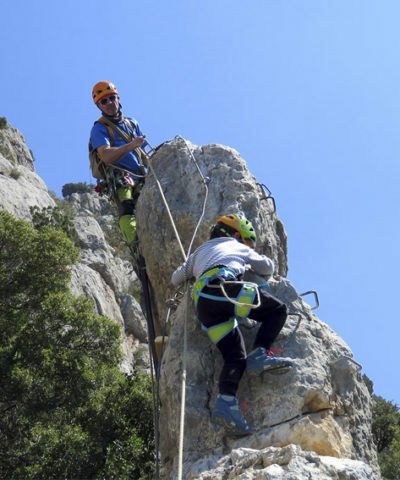 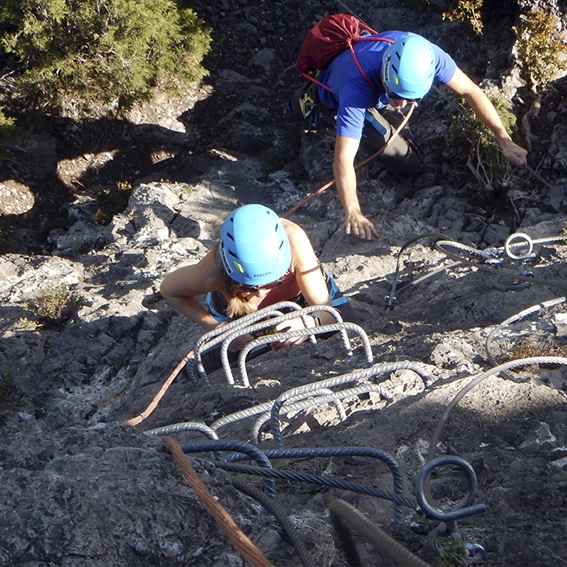 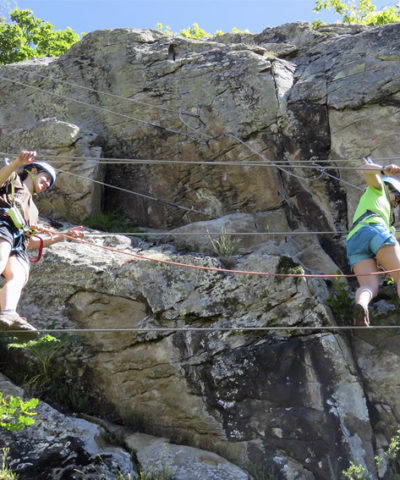 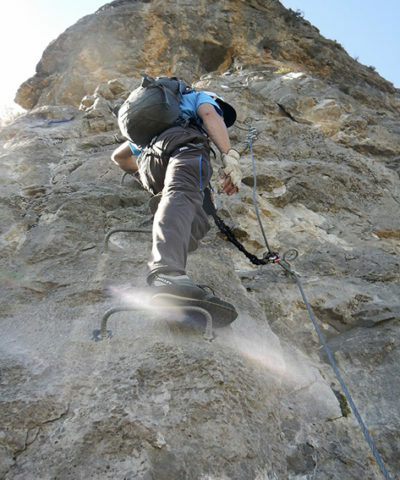 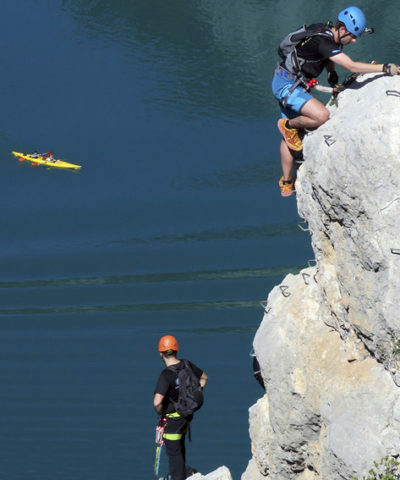 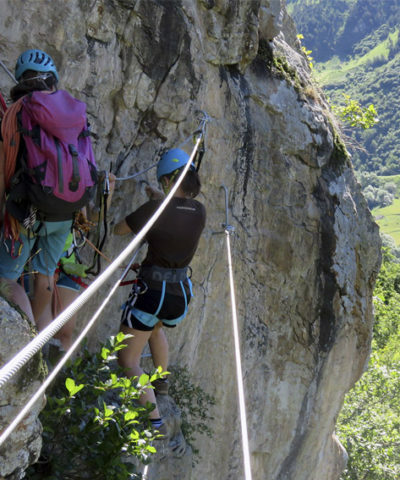 Via ferrata climbing is suitable for beginners, our guides give the instructions and safety necessary for the activity to be a success. 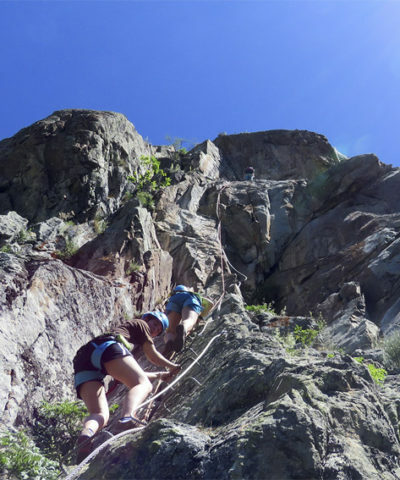 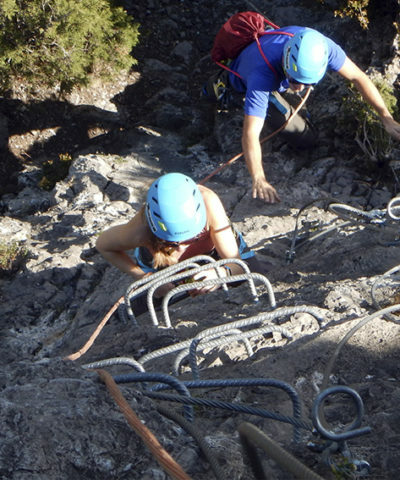 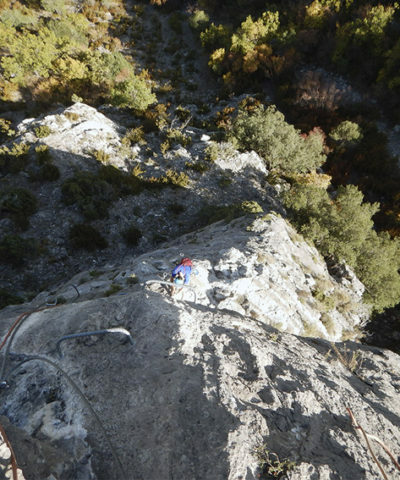 On via ferrata climbs, the path is made with steel steps anchored in the wall that help progress on vertical parts of the climb. 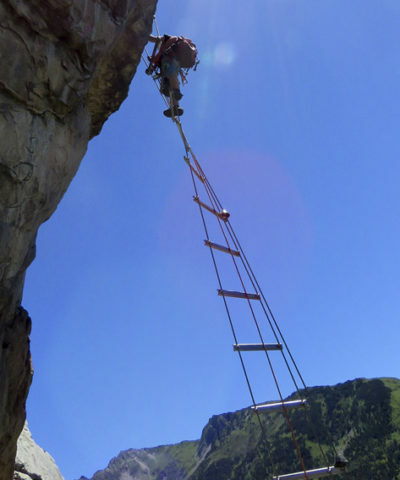 Often, we can find hanging bridges or Tibetans, which are types of bridges, slightly dizzying, or sections where progression is done by using the rock itself, but always secured. 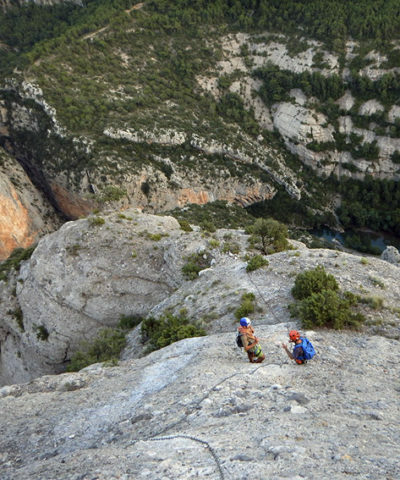 At Explora Guies we like to enjoy all attributes of via ferratas, that’s why our guides don’t only take advantage of the most adventurous and athletic aspects, but value the interpretation of the environment: plant and animal life; and the historical legacy that can be found throughout the adventure.